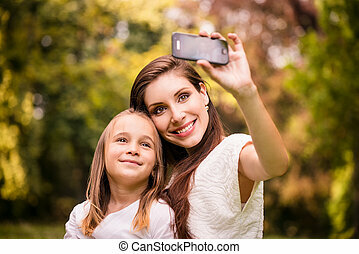 Mother with child selfie. 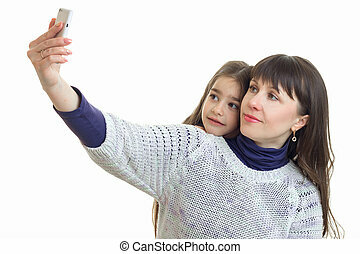 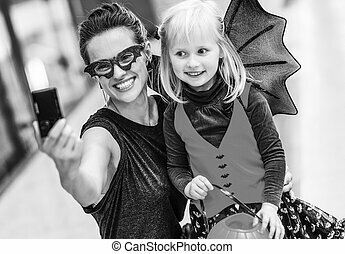 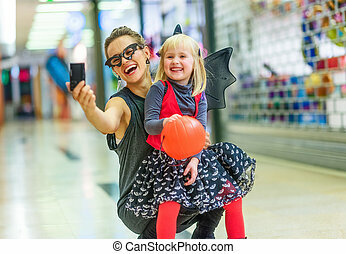 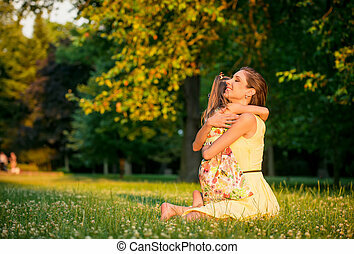 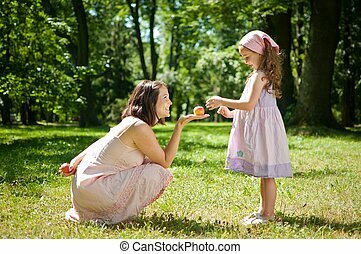 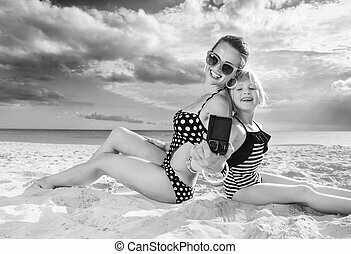 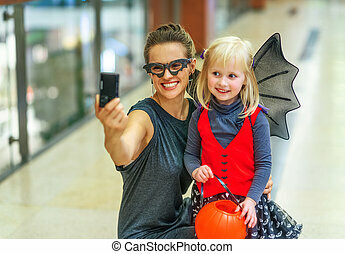 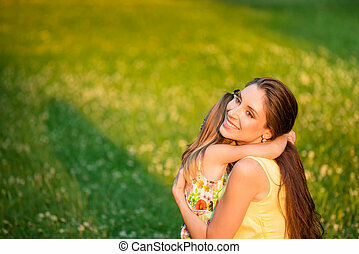 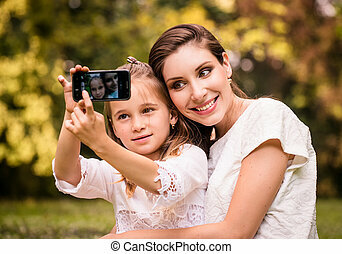 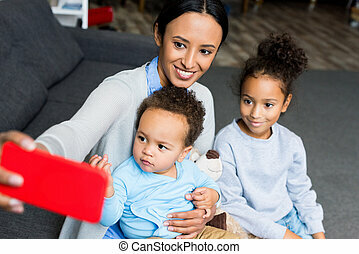 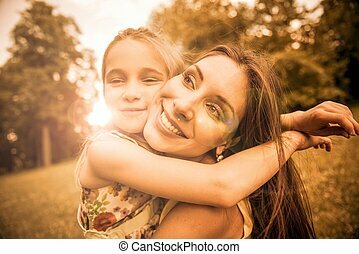 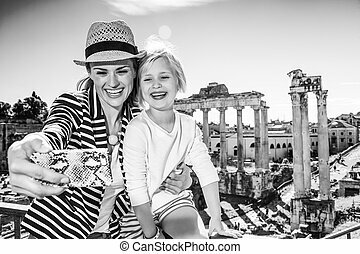 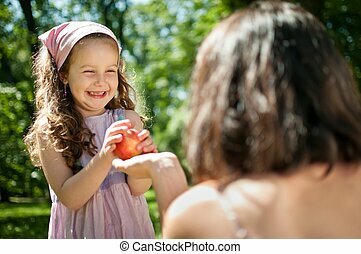 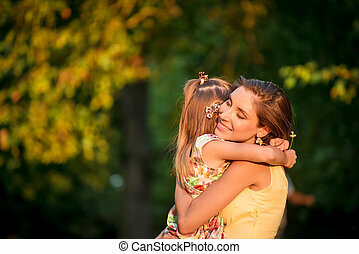 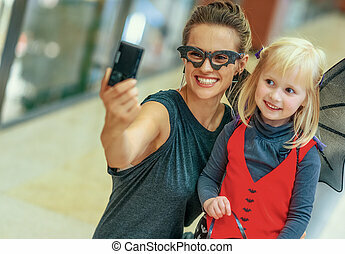 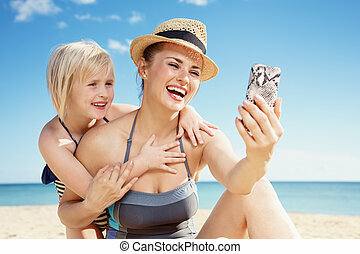 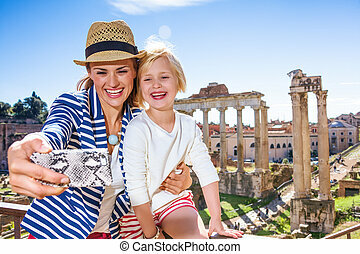 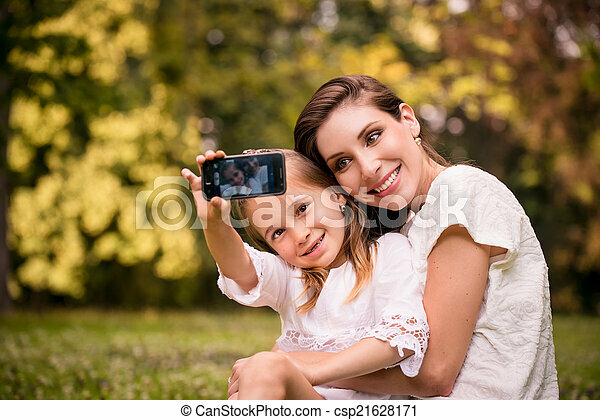 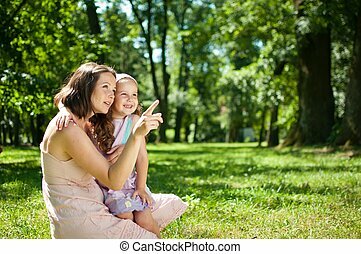 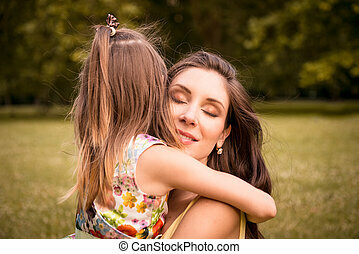 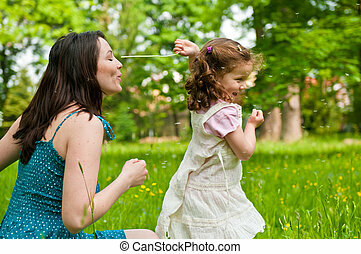 Mother and child taking selfie photo with phone camera outdoor in nature. 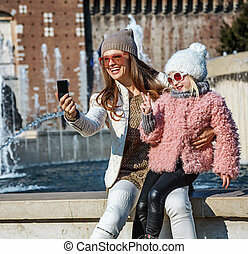 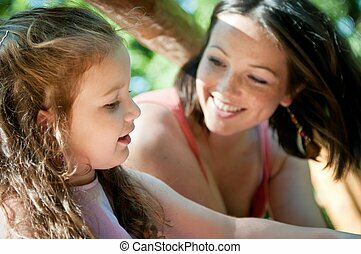 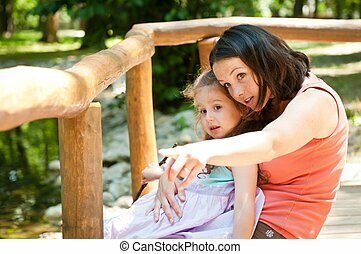 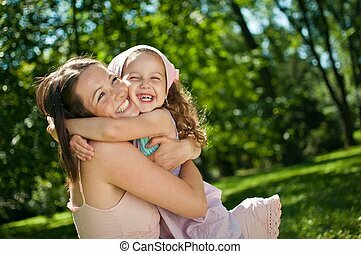 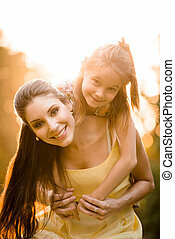 Happy cute little girl and her mother posing for a self portrait at bench in the park.